Great customer experience starts with fast front-end development. The Frosmo Platform provides fast and easy front-end development from the idea to implementation as it doesn’t require any changes to the back-end systems. 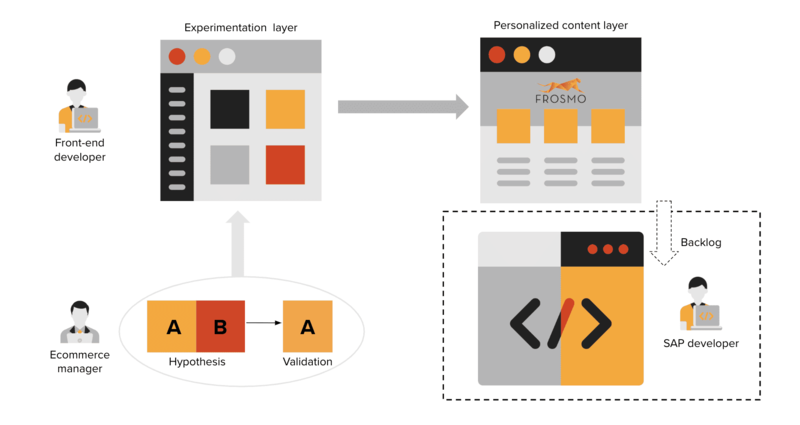 All development starts with a hypothesis of which version of content performs better and then test the hypothesis using Frosmo’s advanced testing features. The winning version of the front-end improvement can then stay in the personalized content layer run by Frosmo or implemented to the SAP Commerce Cloud. Personalize every shopping experience. Every buyer is different. Frosmo provides an easy way to dynamic and relevant experiences. Designing and implementing digital customer journeys improves customer satisfaction and lowers customer acquisition costs. This is possible with the segments and triggers available in the Frosmo Platform. You can increase the average order value with product recommendations including bundles, tip-to-toe, basket recommendations, and most bought or viewed products. A common way to increase basket value is to remind customers how much is missing from the order amount to take advantage of free shipping. You can also boost sales by enhancing seasonal campaigns with traffic optimization, and content personalization, as well as presales for logged-in users only. 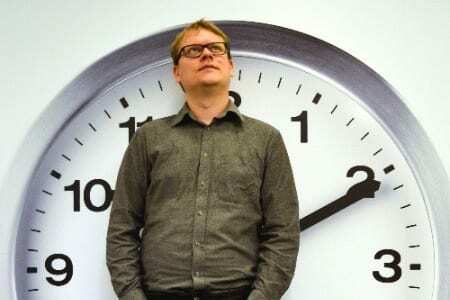 Fast time-to-market is essential in a fast-paced ecommerce business. With Frosmo, all the changes to the front end can be implemented around 30% faster.